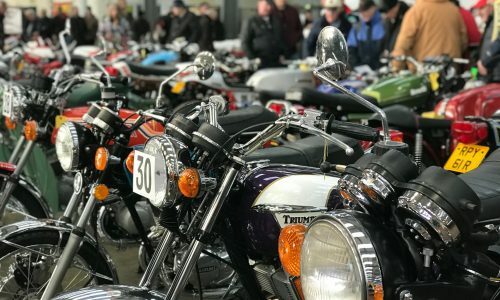 The Sprint Section of the VMCC have announced their 2013 calendar and invite entries to their Thorney Island and Eelmoor events, so if you’re looking to run that Nostalgia Drag Bike / vintage road bike / scooter / modern road rocket / classic, maybe this is your chance. You don’t have to have done Sprinting before, and the events are open to bikes of all ages, and riders from the age 11 (restrictions apply to the youngsters!). The events run under ACU permits which means: Paramedics, licensed Tech Inspectors (for machine and clothing), Clerk of the Course, licensed time keepers, track inspection and ACU insurance. Although an ACU competition licence is reqd, this can be bought for the day along with a day’s membership to the VMCC. So, who are the Sprint Section Committee? We are a group of VMCC Members with a passion for Sprinting. 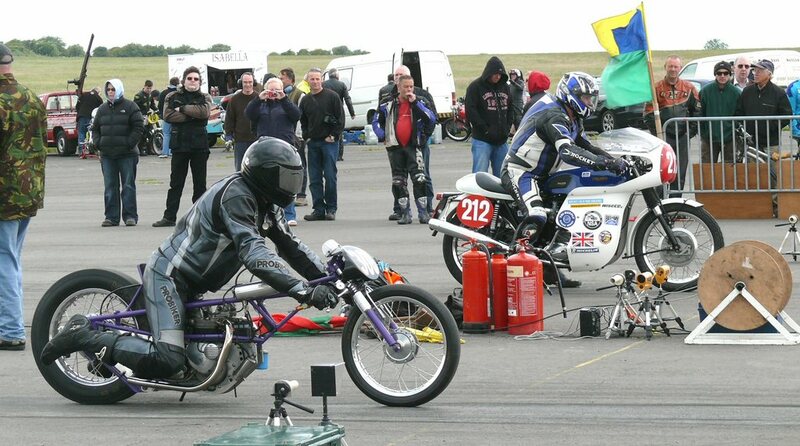 We organise, run and some of us ride at VMCC Sprint Section Competitions. We are all enthusiasts who do this for the love of the Sport. 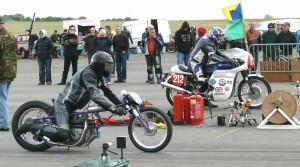 We welcome fellow motorcyclists who wish to pitch their skills against the clock. **IMPORTANT NOTE – Thorney Island is an active RAF site, and security is therefore paramount. For this reason, the names and transport details of everyone attending is required in advance, and will be held by the Guardroom for checking. Sunday 29th September 2013 – Eelmoor Test Track (near Aldershot) Double Header – single lane 1/8th mile Straight Sprint am, Twisty Sprint pm. 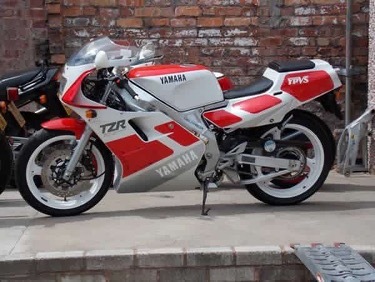 Please see the Sprint Section website for details www.vmccsprint.co.uk.